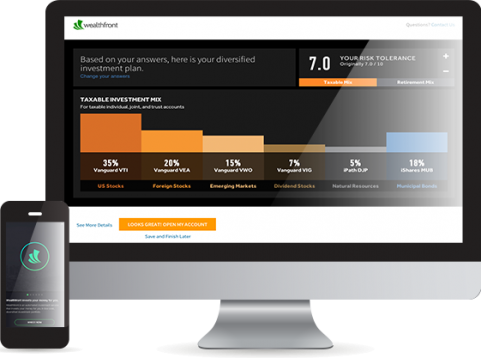 Wealthfront is an intelligent, automated investment service. We'll build you a free personalized investment plan in 2 minutes. Wealthfront invests your money in Index Funds to keep fees low and diversification high. Studies show this approach maximizes long-term returns. You'll never pay commissions or account fees. We only charge 0.25% per year. We automatically invest your money across 11 asset classes. We continuously monitor and rebalance your portfolio so you don't have to. 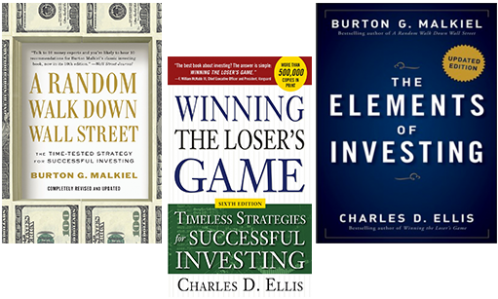 With financial experts like Burton Malkiel and Charles Ellis, Wealthfront’s investment team accumulates more than 200 years of investment experience and has authored more than 16 investment books. Wealthfront Advisers LLC (“Wealthfront Advisers” , the successor investment adviser to Wealthfront Inc.) is an SEC-registered investment adviser and a wholly owned subsidiary of Wealthfront Corporation (formerly known as Wealthfront Inc.). Please see our Full Disclosure for important details.